Our general and cosmetic dental services are most likely all that will be required to maintain excellent dental health at all times, but we also offer a range of advanced services so when you do need additional care, it can usually be provided by our dental team. These services include diagnosis, treatment for TMJ and Bruxism, for snoring and sleep apnoea. For patients who feel a little nervous or anxious, or who need lengthier treatments, we have a choice of sedation options. What is TMJ & Bruxism and How Is It Treated? Many people will clench or grind their teeth when stressed during the daytime, but bruxism is generally a subconscious action because it is largely a nocturnal habit. Regularly clenching and grinding your teeth can cause significant damage to teeth, in the worst cases wearing them down to little more than stumps. The pressure created during clenching and grinding also places stress on your temporomandibular joints or jaw joints, causing a disorder called TMJ or TMD. This can cause these joints to become inflamed and painful and the pain may spread into the neck and shoulders or can cause chronic headaches. Our dentist can quickly diagnose any problems caused by bruxism and normally it is easily treated with the use of a custom-made night splint made from a hard, thermoplastic material. This is a comfortable device that is designed to fit over the upper teeth, preventing contact with the lower teeth so that when you try to clench or grind, your teeth will glide harmlessly against the splint. What Is Snoring and Sleep Apnoea and How Is It Treated? While most people will snore occasionally, sleep apnoea is a much more serious condition that can affect general health. Unlike snoring, people with sleep apnoea will cease breathing for several seconds, sometimes hundreds of times a night. Breathing restarts with a loud grasp or snort and while this may not completely awaken sufferers, it is sufficient to prevent deep restorative sleep. These pauses in breath are caused when the throat and tongue muscles relax, resulting in the airway becoming partially or completely blocked. We can supply and fit specialised SomnoMed devices that will keep the airway open during sleep. This is a custom-made device that is comfortable to use and which will move your lower jaw slightly forwards, effectively holding open your airway. 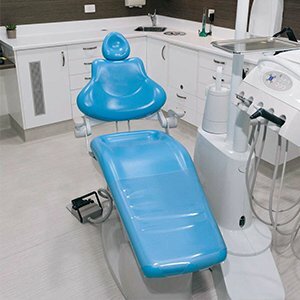 People who suffer from anxiety or dental phobias can greatly benefit from sedation dentistry which will help them feel relaxed and comfortable right throughout treatment. Our options include intravenous sedation or sleep dentistry which is given by a doctor specially trained in intravenous or IV sedation. With this treatment choice, sedatives are given intravenously inducing a sense of drowsiness and deep relaxation. You may actually fall asleep during treatment but can easily be awakened. Anyone wishing to have sedation dentistry is carefully assessed by our dentist to ensure this treatment is suitable and safe.